Yet another delightful addition to the growing trend of wordless picture books, Unspoken shares the courage of everyday people in extraordinary situations. The illustrations richly tell a story of a young girl who finds someone hiding in her family’s barn. Though the reader never sees more than the stranger’s eye, the foreshadowing and context clues in the beautifully hand-drawn images indicate that a runaway slave has hidden in the corn pile. 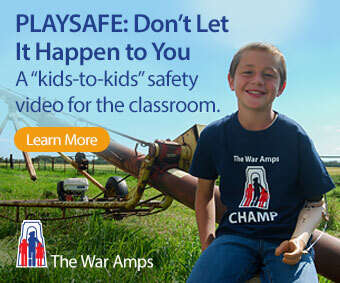 Scared and forced with a very difficult decision, the young girl places the value of life over the value of law. 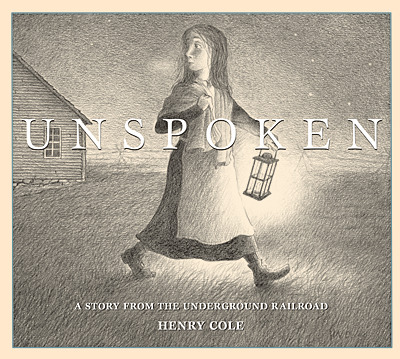 Classroom Connections: Unspoken could be used to teach about the kindness of strangers, the Underground Railroad, morality vs. legality, shorty story writing, making predictions, black and white drawing, or line as an element of design. This review is from Canadian Teacher Magazine’s Jan/Feb 2014 issue.